Rogues have come a long way since D&D’s humble beginnings. They are no longer confined to percentile rolls to perform core tasks like finding traps and moving silently. Starting in Third Edition D&D and continuing through Pathfinder, rogues became the premier users of the new skill system, having the largest list of class skills and the most skill points to work with. But, few games take place in a combat-free vacuum, and so the trick to creating an effective rogue is to find a balance between skill mastery and combat prowess. 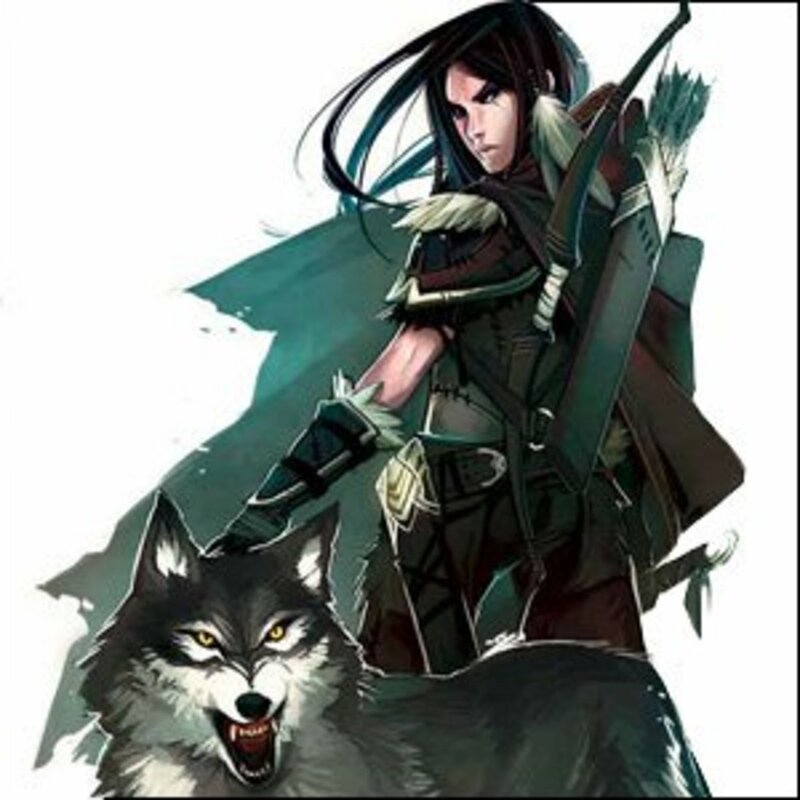 In Pathfinder, rogues gained access to unique talents, in addition to their skills and feats, increasing the extent to which you can customize your character. The majority of these talents are related to skill use, allowing you to specialize your rogue’s out-of-combat functions as you see fit (though there are a few talents that have combat applications, as well). Consequently, the two pillars of the rogue—combat and skills—can be adequately addressed primarily through feats for the former and talents for the latter. This basic approach will allow for a capable and well-rounded rogue in many campaigns; however, in games that focus more prominently on one or the other, you may find it useful to dedicate more feats toward skill use or more rogue talents toward combat. This guide will, on the whole, be divided into three sections: skills, combat, and builds. The first section will lay out essential and other useful skills, as well as talents and archetypes that complement them. Once this baseline is established, the next section will discuss common ways to be an effective rogue in combat, including appropriate feats, rogue talents, and archetypes of note. The final section will provide sample builds that demonstrate how the two sides of the class come together to create a unique whole. With that out of the way, this guide can officially begin. Rogues have the largest list of class skills in Pathfinder (they’re rivaled only by the ninja introduced in Ultimate Combat, which is itself a rogue subclass). As a result, it isn’t abundantly clear to the first-timer that some of these skills are much more useful than others. Many of the ones covered here are must-haves, while others are great additions to a strong foundational skill set. Skills not discussed below are largely optional and can be taken as is appropriate for your build and character concept. Use Magic Device (to avoid mishaps, especially since you can’t normally take 10 on this one). If you have the Intelligence score to allow you to choose extra skills, stick to ones that your character will use often or that you really want to excel at. Most rogues will want the maximum number of ranks in Acrobatics. It allows greater mobility out of combat, whereas in combat, it provides you with the crucial ability to avoid attacks of opportunity provoked by movement. Especially for rogues who specialize in melee combat, maneuvering to a flanking position is key to maintaining a respectable amount of damage, which means moving through a lot of threatened areas over the course of the game. Because you’re not decked out in heavy armor, and your hit points are probably not on the same level as the fighter’s, you don’t want to attempt to soak up these blows with your Armor Class. A high Acrobatics skill modifier will let you avoid them entirely. Keep your modifier high, as your Acrobatics check has to beat the Combat Maneuver Defense of your opponent in order to avoid the attack. Expert leaper allows you to make all of your jumps as if you had a running start. Ledge walker lets you move at full speed while balancing. Peerless maneuver allows you to roll twice for a single Acrobatics check per day (and more checks per day as you gain levels), taking the best result. The best of these, though, is the fast tumble advanced talent, which allows you to move at full speed when using Acrobatics to avoid attacks of opportunity. Two archetypes from the Advanced Player’s Guide are noteworthy. 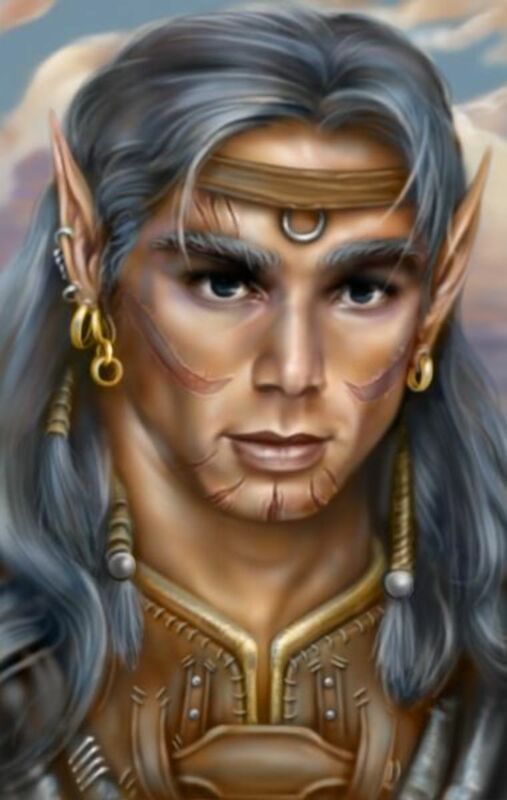 The acrobat archetype gives up trapfinding, so it doesn’t come highly recommended, but in a party where your skills in that department aren’t needed, you might give it a look. It removes your armor check penalties from light armor on Acrobatics and a few other skill che s, and gives you a limited reroll ability for Acrobatics checks in place of trap sense. The swashbuckler archetype also replaces trapfinding (and is again not recommended). However, its replacement for trap sense grants a +1 bonus on Acrobatics checks for every three rogue levels, so if you’re looking to maximize your skill bonus, you might take a look at this one. The roof runner archetype from Ultimate Combat lets you use your Acrobatics to fall greater distances than normal, so long as you have structures to bound off of as you descend, though. However, roof runners lose trapfinding, so they aren’t highly recommended. Bluff has any number of applications in the social aspect of the game, but the two of the most interest to rogues are the abilities to feint in combat and to create diversions to allow hiding. This skill isn’t strictly necessary, but it’s very useful, even if your rogue has some kind of oath not to lie. Coax information lets you use Bluff (or Diplomacy) in place of Intimidate to influence NPC attitudes. Convincing lie lets your Bluff modifier work to spread lies you’ve told others (though the mechanics on this are kind of strange, I’ll admit). Honeyed words lets you roll twice for a Bluff check and choose the best result. Rumormonger lets you use Bluff to spread rumors through a town, though why this is an advanced talent, I’m not sure. Three archetypes from the Advanced Player’s Guide may be of interest to a Bluff specialist. The burglar archetype lets you use Bluff to create a distraction if you’re ever spotted while using the Stealth skill. This archetype is useful all-around, and I’ve written further about it here. The rake archetype loses trapfinding, but does gain a scaling bonus to Bluff checks in place of trap sense. The spy archetype gives you a bonus of half your level to Bluff checks to deceive someone, but you again give up trapfinding for it. 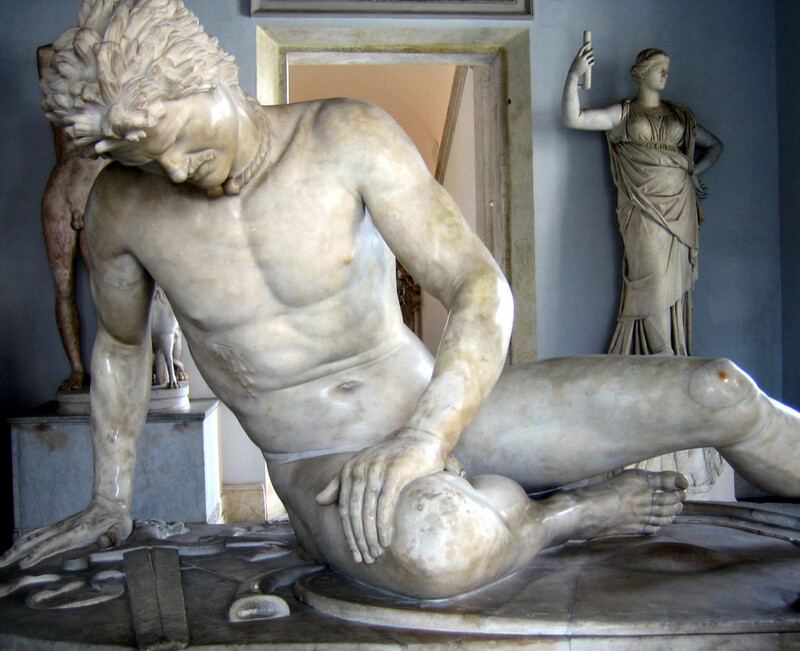 There are two from Ultimate Combat that are also worth a look. The chameleon archetype gains “stealth points” equal to her ranks in Bluff that let her gain bonuses to Stealth checks, but once again, requires the loss of trapsense. The charlatan archetype also gets a couple bonuses for Bluff (such as the rumormonger advanced talent at 3rd level), but it loses trapfinding as well. Your ability to disable magical traps is unique to the rogue, except for a few archetypes that grant the ability. So far, the rogue is the only class that can disarm magical traps starting at level 1. As a result, you’ll want to keep your Disable Device skill maximized, unless there’s another character with trapfinding in the party. Even if there is, this skill is useful for opening locks and jamming other mechanical devices, so it’s still useful in most campaigns. If your campaign does not feature many traps, or any traps at all, this skill becomes much less important. Fast picks lets you pick a lock as a standard action; quick disable cuts the time required to disarm a trap by half; and trap spotter gives you an automatic Perception check to spot anytime you come within 10 feet of a trap. The burglar and trapsmith archetypes from the Advanced Player’s Guide both grant the careful disarm ability, which gives you a wider range with which to fail before you spring a trap you’re attempting to disarm. Trapsmiths can also bypass any trap they succeed in disarming at level 8, which can be useful if you’re trying to leave no signs of your tampering. Because you’re likely to have only moderate Strength and you have an average base attack bonus, Escape Artist gives you a solid way to escape grapples, which your Combat Maneuver Bonus won’t provide. This skill is recommended for most rogues, though there aren’t any rogue talents or archetypes that interact with it. Perception is probably the most important skill in the game. It has broad applications both inside and outside of combat, so choosing not to maximize it is usually a poor decision. Perception is also how you find any traps your group would otherwise stumble into, so it’s doubly important for a rogue. Wisdom is also often a lower score for rogues, so it’s important to make sure your ranks make up for this. A handful of rogue talents take advantage of Perception, but there aren’t any archetypes that interact with it (more than the core rogue does, anyway). Canny observer grants a +4 on Perception checks made to make out the details of a conversation or to find concealed items (included traps!). Follow clues allow you to track as though you were using Survival, and trap spotter has already been mentioned above under Disable Device. The last, thoughtful reexamining allows you to reroll a Perception check (or one of a few other skills) once per day to gain new or improved information from the check. Considering you should really have skill mastery, this is probably not necessary. While Stealth isn’t strictly necessary, rogues are often scouting ahead of the group, searching for traps and other dangers, and they certainly don’t want to be caught by a roaming enemy all by their lonesome. Most rogues will want to maximize their Stealth modifier as a result. Stealth (along with Perception) also allows you to act most often during surprise rounds, which helps you deal your coveted sneak attack damage. Camouflage allows you to create camouflage from natural foliage, granting you a bonus to Stealth while in the corresponding terrain. This works well with terrain mastery, which gives you a favored terrain (as the ranger ability), and also allows you to take hide in plain sight for that terrain as an advanced talent. Fast stealth lets you move at full speed while using Stealth, and stealthy sniper reduces the penalty you take while using Stealth to snipe with ranged attacks. The best archetype for maximizing your Stealth capability is the burglar, as already mentioned above under Bluff. The chameleon (Ultimate Combat ), also discussed previously, lets you boost your Stealth modifier through “stealth points” equal to your Bluff ranks. Though there aren’t any rogue talents or archetypes dedicated to it, Use Magic Device is one of the best skills any character can have access to. 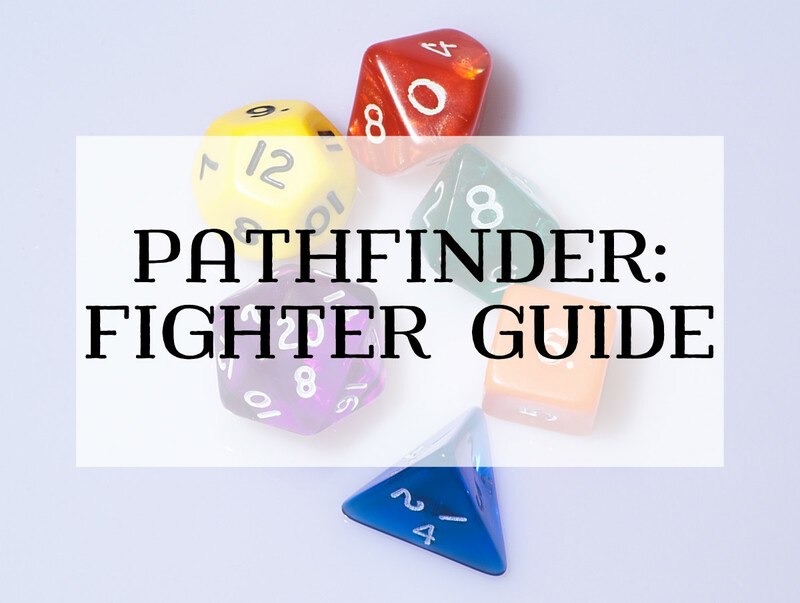 Maximizing this skill greatly increases your versatility, and versatility is very powerful in Pathfinder. Of course, in a game without ready access to scrolls and wands, you’ll get less out of this skill. Taken together, these skills take up seven of your eight available skill ranks per level, assuming you have an Intelligence of 10. You can use the extra skill(s) to further customize your rogue, specializing in Diplomacy, Sleight of Hand, or whatever else suits your character. With the above skills, you’ll be able to perform the roles that you’re best suited to in the party, allowing you to be sure you’ll always be a valuable asset to your group. You can perhaps get away without some of them (Bluff or Escape Artist, for instance), depending on the needs of your character, if you need more flexibility in your skill selection. Unlike fighters, rogues don’t have a lot of different combat styles. Their limited number of feats and lower base attack bonus means they’re best at focusing on a simple, straightforward fighting style. In all cases, a rogue wants to maximize the number of sneak attacks that he makes, as this is his major source of damage. There are three major ways to build a rogue that does this. Ranged Combat: Rogues specializing in ranged combat get more full attacks than other rogues; however, they have a harder time maintaining their sneak attack damage because they don’t have the option of flanking. Without a reliable way to guarantee greater invisibility, ranged rogues will generally lag behind in the damage department. 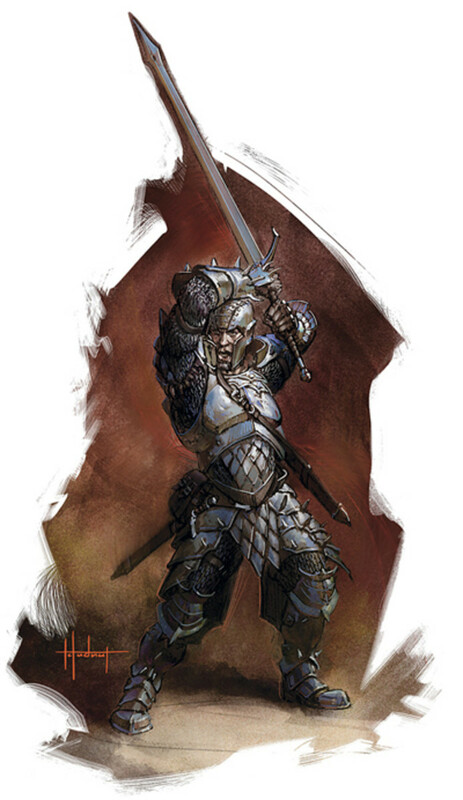 Two-Handed Fighting: Most often, these rogues are half-orcs or another race that grants a suitable weapon proficiency. They favor Strength over Dexterity, relying on Power Attack and their two-handed weapons to maintain damage in situations where they can’t sneak attack (and keeping their damage respectable when they can’t full attack, as well). Two-Weapon Fighting: Dual-wielding rogues can deliver the most sneak attacks out of all rogues in a given round, but they’re heavily dependent on flanking and full attacks to consistently deal damage. One-Handed Fighting: Conceptually, a rogue with a single weapon (say, a rapier) is common, but these types will generally lag behind significantly in the damage department. 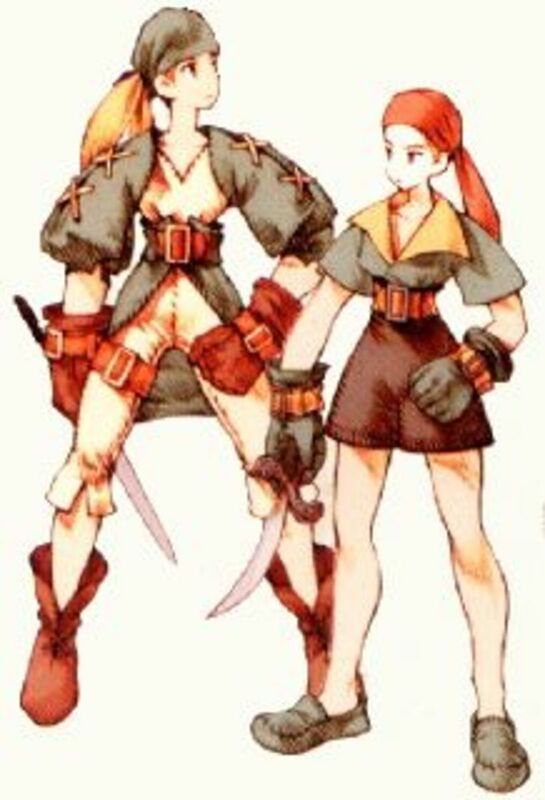 In terms of feats and ability scores, they can be built like a rogue using a two-handed weapon, if you decide to play one. 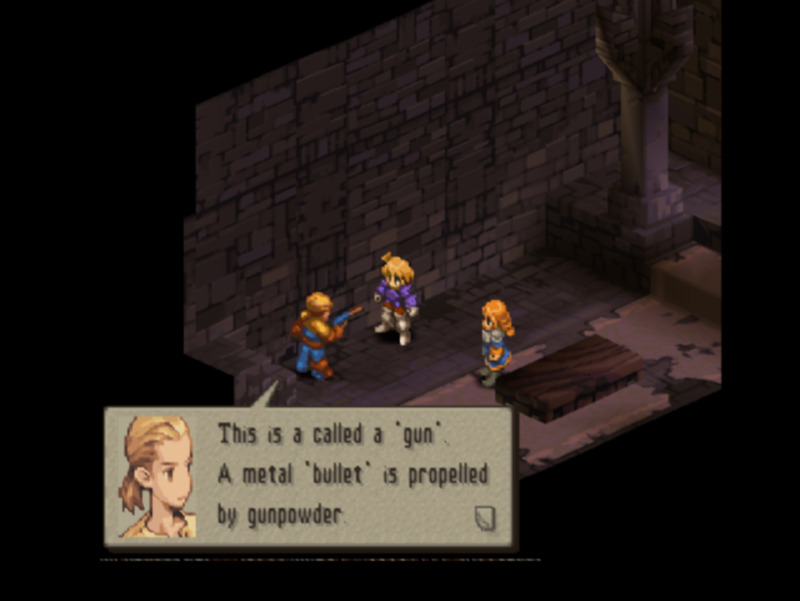 The other effective way to have a character stylistically similar is to off-hand a dagger or other thematically appropriate weapon and go the Two-Weapon Fighting route. You can mix-and-match these styles to a certain extent (rogues using throwing weapons can also use Two-Weapon Fighting to get extra attacks, for instance), and if you have the feats to do it, you can go that extra mile if you want. You don't need to do so to be effective, though. As with skill mastery, most rogues that want to be effective in combat should be looking to take the crippling strike advanced talent. Not many classes can readily do Strength damage, and it works to cripple a lot of opponents. Melee-focused enemies will miss your party more often and do less damage for every point of Strength damage they take, and many spellcasting enemies have lower Strength, making it that much easier to reduce them to a helpless state. Now, we’ll take a look at the ins and outs of each of these three fighting styles. Dexterity is your primary score for ranged combat. Since you’re probably using a composite shortbow or throwing weapons, Strength is helpful to add more damage to your attacks. You’ll want a moderate Constitution, but since you plan to hang back, you can afford a lower score than melee-focused rogues. A high Wisdom (for Perception) is helpful for you, since getting the drop on your enemies to gain sneak attack damage is more important for you than it is for other rogues. Intelligence is nice where you can spare it, and unless you’re focused on social skills, you don’t need Charisma. These are the standard archery feats, all of which you want to grab. Point Blank Shot is more useful for you than it is for other ranged combatants, since you’re going to spend much more time within 30 feet of your enemies to deal sneak attack damage. Not every ranged rogue will focus on bows, since they need to be at close range, anyway, but for those that do, there’s no reason to skip Manyshot. If, instead, you’re using a crossbow or firearm, you’ll want Rapid Reload instead, and rogues focused on throwing weapons will need to take Quick Draw. If you’re focused on throwing weapons and have Quick Draw, you can gain additional attacks in a round by taking what feats you can afford in the Two-Weapon Fighting line. This carries some heavy attack penalties, though, so only go this route if you have some really good ability scores. If you have these feats and use daggers, you’re also more flexible—you can take advantage of flanking in situations where you’re not able to get sneak attack dice some other way by entering melee (though you’ll probably need Weapon Finesse for that to work well). Weapon Focus is always helpful as a means to bolster your lower attack bonuses. Normally, I don’t suggest using a lot of rogue talents for combat purposes but ranged types may need to use them to help them get their sneak attack dice. If you take the ki pool and ninja trick talents, you can gain a swift action invisibility power, which can help you set up sneak attack damage more often. Sniper’s eye allows you to deal sneak attack damage against foes with concealment that are within 30 feet (concealment normally prevents sneak attack damage), which is something useful for all rogues. Hunter’s surprise is of special note to ranged rogues, since they’re always on the lookout for ways to get those extra damage dice and it gives them another way to do that. The sniper (Advanced Player’s Guide ) increases the range at which you can deal sneak attack damage, which is useful especially for bow-focused rogues. Like most rogue archetypes, though, you give up trapfinding for this, so it’s a difficult archetype to take in most groups. Who says rogues can't use big weapons? Strength is your primary score, to keep your attack rolls and damage steady. Dexterity and Constitution are both important to you, but Constitution probably gets the edge somewhat, as long as you can keep your ranks in Dexterity-based skills current. Your mental scores aren’t terribly important, but try not to dump the ones that affect your chosen skills. Rogues are proficient with only three two-handed weapons: the longspear, the quarterstaff, and the spear. Most two-handed fighting rogues will want a wider variety of weapon choice, so look for races with weapon familiarity (such as the orc) and archetypes (like the swashbuckler) that give you additional weapon proficiencies. Most one-handed weapons can also be used two-handed, so even the elf’s weapon familiarity can be useful since it gives you access to the longsword. Like most two-handed builds, Power Attack is all you need, but you should probably think about Weapon Focus, too, since you’re attack bonuses are only moderate. Furious Focus helps those attacks you make when moving into combat hit (since you might not be able to flank), so it’s a solid choice. You’re more likely than other rogues to be a half-orc (thus gaining a bonus on Intimidate). You might consider a secondary focus on that skill. The nice thing is that you can also get sneak attack damage against shaken foes through Shatter Defenses. Even if you’re not a half-orc, these feats can be worth it if you have open feat slots. Other feat choices you make are largely up to you—two-handed fighting rogues have a lot more freedom to take feats centered around mobility and skills than others do. The rake archetype (Advanced Player’s Guide) has great synergy with the Shatter Defenses feat, as it allows you to make free Intimidate checks by trading out 1d6 of sneak attack damage. This makes it easier to keep your foes demoralized while you’re dishing out the pain. Rakes do give up trapfinding (which feels like a refrain for this guide at this point), so keep that in mind. You need a high Dexterity to make sure you can take the Two-Weapon Fighting feats. Focus on Constitution after Dexterity to keep your hit points up since you’re going to be spending a lot of time 5 feet away from your enemies. Strength is helpful for adding extra damage, but don’t place it before Constitution, and if you take Weapon Finesse, you probably don’t need Strength at all. Your mental scores should be chosen according to your skills and concept, as is usual for rogues. Most two-weapon rogues won’t have a high Strength, but if you get lucky dice rolls, you can’t go wrong with these feats as a way to increase your damage output. If you have a good Intimidate modifier, you can use Shatter Defenses to set up more situations in which you get your sneak attack damage. The rake archetype mentioned above can also work well for two-weapon fighting rogues if you have an Intimidate focus and Shatter Defenses. If you’re looking to use daggers or other knives as your weapons of choice, the knife master archetype (Ultimate Combat) lets you use d8s for your sneak attack dice, but as usual, they have to give up trapfinding. Here are a few sample builds, each one focusing on a particular combat style and having a specific skills focus. There are a ton of rogue talents I didn’t touch on in this guide, so you can do a lot more than what these sample builds advertise (such as setting off your own traps in combat). Be sure to look through the other rogue talents to find ones that work for you. This build focuses primarily on doing damage via a large number of attacks. 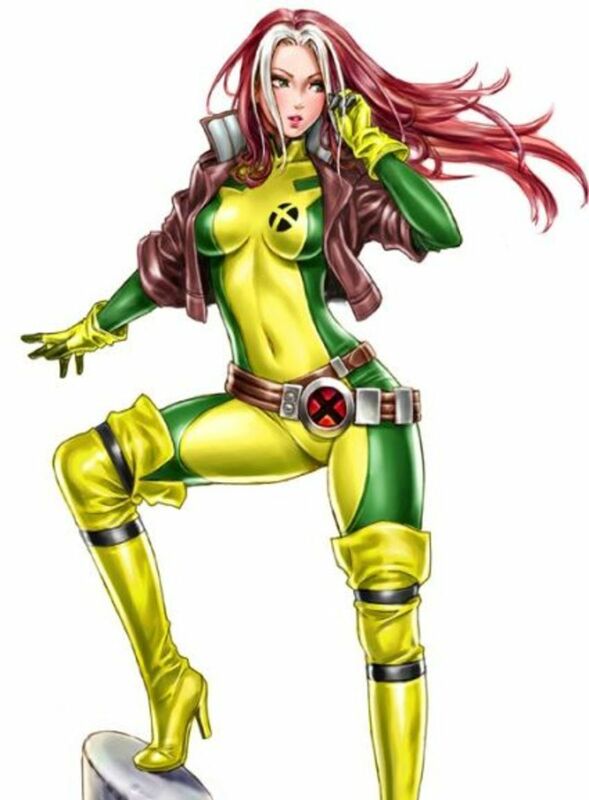 Less focused on skills, this rogue does use one rogue talent (ninja trick, to gain pressure points) to bolster her damage dealing options. Outside of combat, she can track down more enemies to slay with the follow clues rogue talent. Because she could really damage her party if she were ever mind-controlled, she has Iron Will as her 5th level feat. At higher levels, the bloodthirsty blender will take the other Two-Weapon Fighting feats, and she might consider fast tumble (to help her get into flanking positions more easily) and slippery mind as advanced talents. Hunter’s surprise can be useful for the first round of combat if she’s ever surprised, though, with her focus on Perception (for follow clues), that’s probably not going to happen often. The rest of her feats are pretty open, though, and can be used for any number of things. This build focuses on Intimidate and dealing consistent damage. To save a feat, the brute takes the strong impression rogue talent (which grants Intimidating Prowess as a bonus feat) to give greater weight to his Strength score. Thanks to this focus on Strength, the brute can skip Escape Artist as a skill, meaning he only has seven primary skills. This allows him to drop his Intelligence score in favor of Charisma to help out Intimidate. Because he’s not the sort for combing the desert floor for traps, he takes trap spotter, so he can catch them most of the time without slowing his group down. At higher levels, the brute will want to take Dazzling Display and Shatter Defenses. He’ll probably consider powerful sneak and deadly sneak to go along with his brute force theme. His other talents and feats are fairly open, allowing him to have a wide variety of talents or to focus even more greatly on damage-dealing. At home in the wilderness, the scout likes to spend time away from the group, finding traps and gathering intelligence. 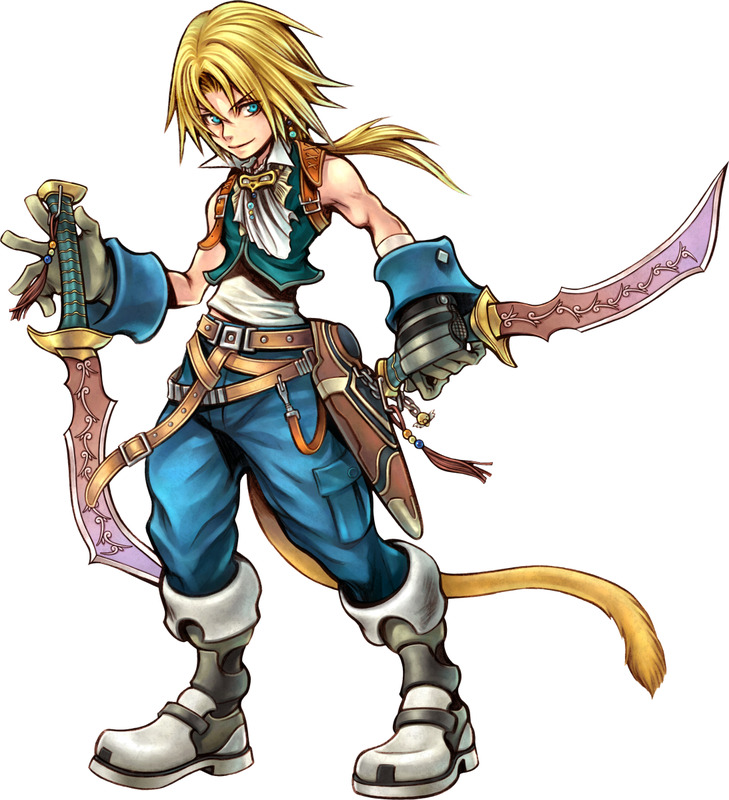 In combat, he stays away from front-and-center as well, focusing on archery. He relies on his Stealth to make sure his first shots always count and probably spends a lot of time sniping in combat if he has available cover. The scout will undoubtedly pick up Manyshot and Weapon Focus later on. For rogue talents, once he has vanishing trick for those tough-to-get sneak attacks, he takes terrain mastery so that he can pick up hide in plain sight as an advanced talent at higher levels, though he wants to get skill mastery first (since he hasn’t focused too much on his skills otherwise) and then hunter’s surprise. As a class, the rogue allows for a wider range of concepts than other classes, but due to their skill-focused nature, they can become supplanted by well-played spellcasters later in the game. To avoid that, try to make sure you really excel at the skills you specialize in so that the spellcasters don’t feel the need to take over with their spells. They will appreciate it. There’s no reason for them to use summon monster to trigger traps safely if you’re around—they can save those spells to have a greater effect in combat. If you’re nigh invisible with your mastery of Stealth, it’s safe for you to scout ahead instead of making the wizard spend slots on divinations to find out about the enemy camp. Even better, if you carry around a wand of invisibility and have Use Magic Device maxed out, you can save him yet another slot (which can be used on the simply excellent glitterdust). There’s no good reason that you have to play second fiddle to spellcasters as you level up if you’ve made sure to keep your skills competitive. You can do this while maintaining a strong combat presence, as I’ve hopefully demonstrated in this guide. ok. so if you are doing two weapon fighting. with the double slice feat. and wielding paired short swords. 1d6+2d6+3 off hand. with a full attack action correct? You don't apply your STR modifier as a bonus to SA damage. It only applies once, to your normal attack, so your total in this example would be 1d6+2d6+3. I have a question about rogue sneak attack damage. your a 3rd level rogue. so you get 2d6 damage. your using a short sword. you make the sneak attack. it is 1d6+3 for the strike. then is it 2d6+3 as well? I like Reactionary. With a high dex rogues should have anyway you can get by without improved initiative to use that feat somewhere else. It depends on what you're going to do with your rogue in general. On a personal level, I don't normally take 1/day abilities, but they can still be useful. They just don't suit my playstyle. How do you feel about the once a day rogue abilities, like positioning attack, Another Day and so forth. I'm think the ones that keep you alive rock if taken in moderation and the ones that don't (positioning attack) are a waste. I haven't focused on traits in the guides because they usually won't have a huge impact on a build. But since you asked: I'm a big fan of Reactionary for a combat trait for rogues. You'll have a high Initiative anyway, but going first is really great, as it gives you another chance to catch your enemies without their DEX bonus. Other than that, though, rogues don't get much benefit from the other traits, as the most common benefit is receiving a new class skill, and rogues already a pretty big list. I'd probably pick one that sits well with the backstory that you're going for and just use that. Amazing article - especially loved learning about rake and the shatter defenses combo, never knew they existed until this! Can I make a suggestion? Maybe add in some recommended traits, usually two the free ones that many pathfinder DM's allow there player's to select at 1st level? I happen to be making a rogue (Rake) myself for a game, two-weapon fighting style human, and I have been wracking my head for which traits to pick.